Our objective is to ensure that all learning is relevant and of the quality required by the Modular and Portable Building Sector. Courses offered through the MPBSATC Learning Hub are quality assured to ensure a consistent and standardised approach. The MPBSATC Learning Hub is a CITB Approved Training Centre, not only delivering training courses and qualifications to an industry defined standard but also driving the development of the standards. What is the right training for my staff? If we consider the approach of training alongside that of the requirement for an industry specific qualification (NVQ) the training requirement for each member of staff should be specific to their own learning and development requirements identified. It is recommended that a detailed training plan against the requirement of the target qualification is created for each team member to ensure a structured and targeted approach. However, once qualified the need for training does not end there, consider an annual review of training needs to ensure continual professional development (CPD) to the current standards of knowledge. Each training course is delivered by and approved provider assured by the MPBSATC Learning Hub. Our role is to ensure a consistent standard and a common point of availability. Approved providers are scattered nationally for ease of access in most cases. Please use the contact form below for general enquiries or follow the specific instructions in the course overview document available to download from the menu. Payment will be taken either via the MPBA or direct with the provider depending upon the course. As part of an industry reform CITB are working with stakeholders to increase the standardisation and transferability of training in the UK construction Industry, in turn improving the availability of funding to employers and individuals. As a part of the trade federation MPBA we have an active role in developing standards for existing and new training courses. If you believe there are gaps, please suggest a course for inclusions. 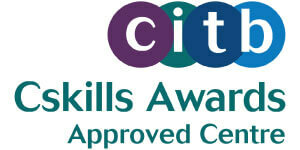 As an association we take assurance of courses very serious and work with specialist partners for accreditation. 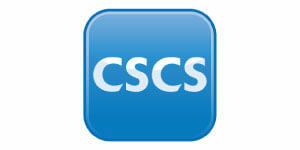 For example, our Electrical Training is accredited by ECS/JIB scheme for a specific card issue.